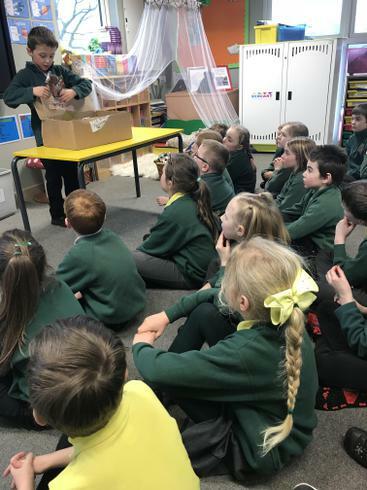 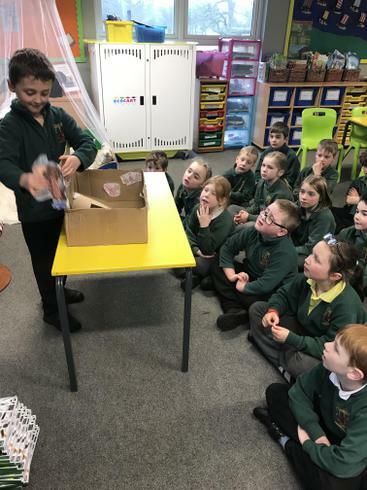 Thank you Rory for presenting your book in the box to us today! 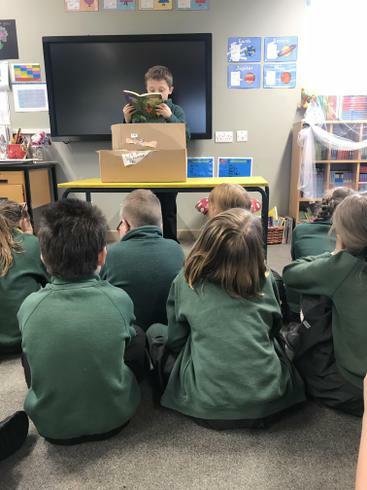 Rory chose one of his favourite books from Enid Blyton's 'The Faraway Tree' collection which he presented enthusiastically. 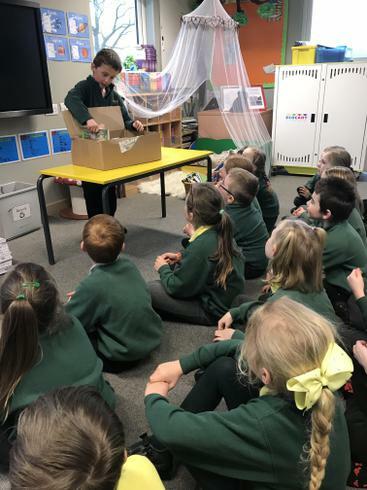 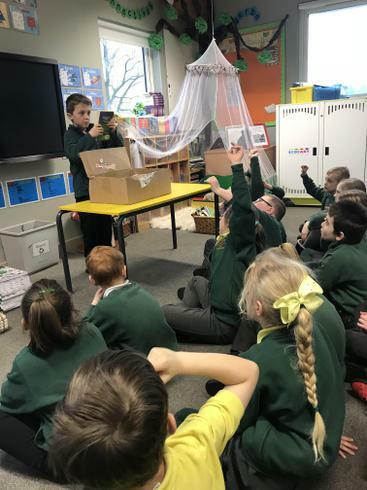 Rory obviously enjoyed showing us all the lovely pictures he made for the presentation and read an extract of the book to the class from his favourite part. 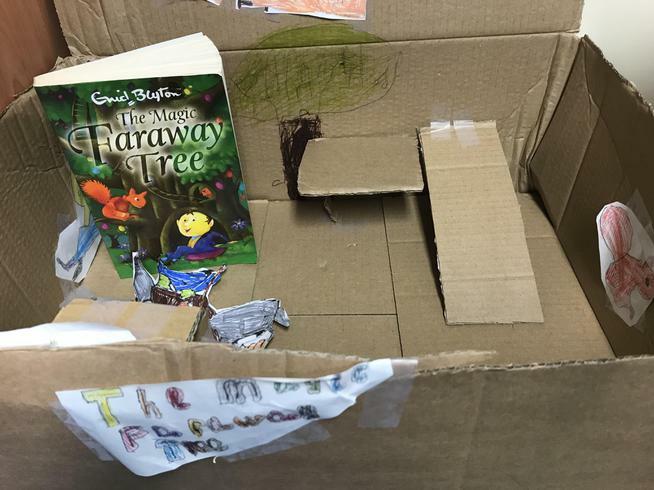 Well done done Rory; you put a lot of effort into your book in a box and we all really enjoyed it!